There’s a delightful movie about a world-famous duo that opened this season starring John C. Reilly, but it’s not HOLMES & WATSON, the dreadful film he made with Will Ferrell. It’s a film concerning another famous duo – Stan Laurel and Oliver Hardy, the film world’s greatest comedy team – and it’s called STAN & OLLIE. In this one, that opened in New York and Los Angeles over Christmas, and opens nationwide this weekend, Reilly costars with Steve Coogan and the movie bio is easily one of the best films of 2018. That’s saying a lot, considering all the Oscar bait that was released around it. This film should be in consideration too, especially Reilly’s stellar turn as the troubled Ollie. Everyone knows Laurel & Hardy, but few know much about their backstory. After acting as individuals for almost a decade in the infancy of film in Hollywood, Laurel and Hardy paired up for filmmaker Hal Roach in 1927 and soon became international film stars. Their comedy style – one that mixed broad physicality with sophisticated gags made them beloved characters. They became icons, and even their bowler hats and “The Cuckoo” theme music became known the world over. Laurel played a clumsy naïf, a man-child character walking through life, guilelessly causing chaos. Hardy played a pompous and proud man, always blaming his friend for their misfortunes and struggling to maintain his dignity through all the craziness. That schtick was adored by audiences, aged six to sixty. 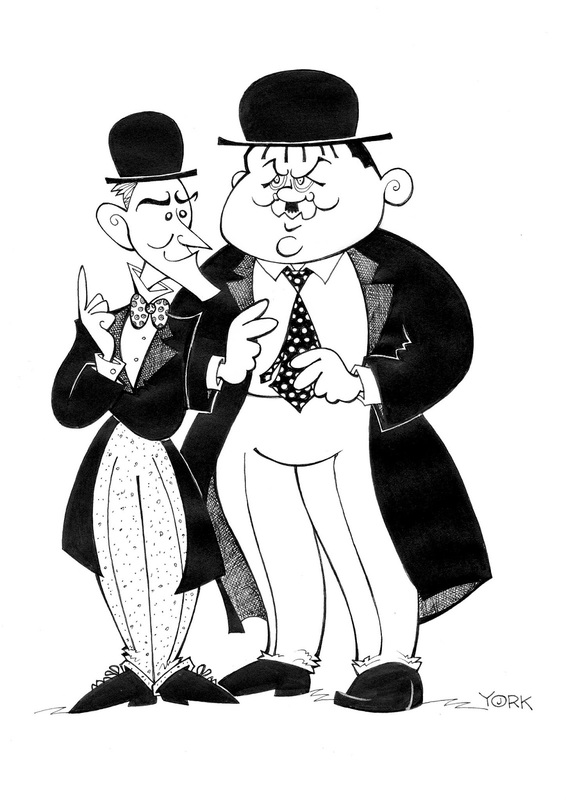 Their popularity even grew when ‘talkies” took over as Laurel’s soft, hesitant vocal tones fit perfectly with his timid character, while Hardy’s rumbling delivery ideally melded with that of the blowhard. For his screenplay of STAN & OLLIE, writer Jeff Pope has wisely chosen to not focus on the story of their rise to fame but rather, their waning years in the early 1950s. Specifically, his script highlights the team’s comedy tour through Britain in 1953 which was intended to raise their profile and funding for a big comeback film, but instead, served as the duo’s swan song. Not only did the producers back home balk at the aging comic’s dream of a big budget return, but the obese and hard-living Hardy contributed to his rapidly failing health and put the final nail in the coffin when he realized he had to retire. STAN & OLLIE both glorifies their comedy and eulogizes the end of their vaulted careers. It has a lot of affection for the two men and leans hard on the pathos for their declining situation. Laurel and Hardy are shown to be good friends, albeit ones that knew each other so well that they could carp at each other and get away with it. Still, there’s something almost tragic in their banter and bitchiness with each other as they both realize this is the end of their career together. Often in biopics, it’s hard to get a handle on what made brilliant artists so unequivocally exceptional and successful. Despite an Oscar nomination for Best Actor in 1992, Robert Downey Jr.’s turn in CHAPLIN spent more time focusing on his peccadilloes than his talents both in front of the camera, as well as behind it. STAN & OLLIE never suffers from that problem as the film goes out of its way to ensure modern audiences understand precisely what made this comedy team the greatest of all time on film. Many of their classic gags are painstakingly recreated here, like the one where they perform an extended skit based on the premise that they keep missing each other’s entrances and exits. It’s incredibly sophisticated in its timing, yet Laurel and Hardy made the wordless bit into art, and Coogan and Reilly do an incredible job of re-enacting it for the film. And even though STAN & OLLIE serves as a loving valentine to the two men, their work, and their friendship, the film also sly slams the vagaries and slipperiness of the town that gave them such long employ. By sixty, Tinsel Town considered them to be “old hat.” Their sophisticated physical style was being replaced by something cruder and more apparent, what with the surging popularity of Abbott and Costello, as well as Martin and Lewis. Laurel and Hardy’s brand of comedy grew outdated for the rougher times. And even as Laurel tries to come up with new bits to compete in the modern marketplace, as he was the author and choreographer of all their bits, the old comic seems stymied by a time that he knows just isn’t buying their brand anymore. 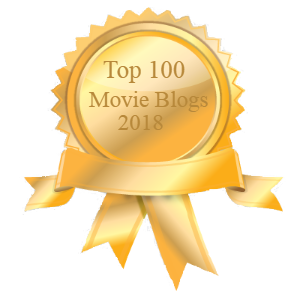 The film becomes a rather timely commentary on ageism, a prejudice that’s always plagued the entertainment industry, and has become an epidemic across all sorts of businesses today. Both leads do incredible work throughout the film, recreating the comedy of the duo, but also digging deep to find the real hurt inside these aging men. Coogan is an expert comic and has always been a razor-sharp impressionist, so it’s no surprise that he nails every single element of Laurel’s voice, gait, and bearing. The Brit also has built up quite a reputation of late as a superb dramatic actor as well, as he did in PHILOMENA, and he ensures that Laurel here moves with an underlying sense of melancholy throughout. Watch the way Coogan hesitates before delivering his lines as he faces one indignity after another while trying to cajole producers to believe in the twosome. It slyly matches the same cadence he uses to comic effect in the skits. What’s especially fascinating about Reilly’s performance is in how he makes Ollie so different from his screen persona. In his personal life, Hardy was as sweet as his onscreen character was bellicose. And who knew that the man was such a romantic? The affection he showers on his wife Lucille (Shirley Henderson) is one of the film’s revelatory delights, and the poignancy with which they deal with his health issues will tug mightily on your heartstrings. One of the nicest surprises in STAN & OLLIE is how the secondary characters shine through. This could have easily been a two-hander, and successful in that, but the film has greater scope and ambition than that. Instead, the wives come through as much as most any supporting women on film this year. Henderson gives a gracious, warm and witty performance showing all the sides she was to her husband – lover, confidante, and caretaker. Nina Arianda shines too as Ida, Stan’s tart-tongued Russian wife. She gets almost as many funny quips as the two lead men do. And Rufus Jones should win some sort of award for essaying such a scoundrel of an agent. His Bernard Delfont is so oily it’s amazing he doesn’t slide right off the screen, but Jones makes his lies, half-truths, and broken promises a hoot every second he’s onscreen. Director Jon S. Baird gets the best from his cast, including Danny Huston as a pompous Roach, and delivers a period piece that can stand up to any such film this year. The fact that he did it with such a modestly budgeted film speaks volumes for his talent, as does his commandeering the film from never becoming maudlin, even when Ollie starts falling down or sweating from his problems with obesity. And while the award season is in full-throttle, here’s hoping that Academy members who do manage to put this screener into their DVD players recognize Laurie Rose’s rich photography, John Paul Kelly’s detailed production design, and Guy Speranza’s pin-point costumes. This sleeper should at least snag one Oscar nomination – that for makeup. Indeed, Mark Coulier is already on the short-list for his astonishing prosthetics makeup on display in every frame. So many movie biographies tend to tear down their subjects, and this one never does, even though it shows the men with their flaws and all. Even better, it shines a proper spotlight on these two giants of the entertainment industry, reminding us of why they should be held in the same esteem as Charlie Chaplin, Buster Keaton, and Harold Lloyd. STAN & OLLIE salutes these two as the treasures they were and always should be. This small and intimate little film is a treasure too, and one that should be a must-see for the moviegoing public.